Denim makes you feel comfortable, it makes you feel good and look good- it's one of those materials that work no matter the day or time. It's the never-fail fabric so why not head-to-toe denim? 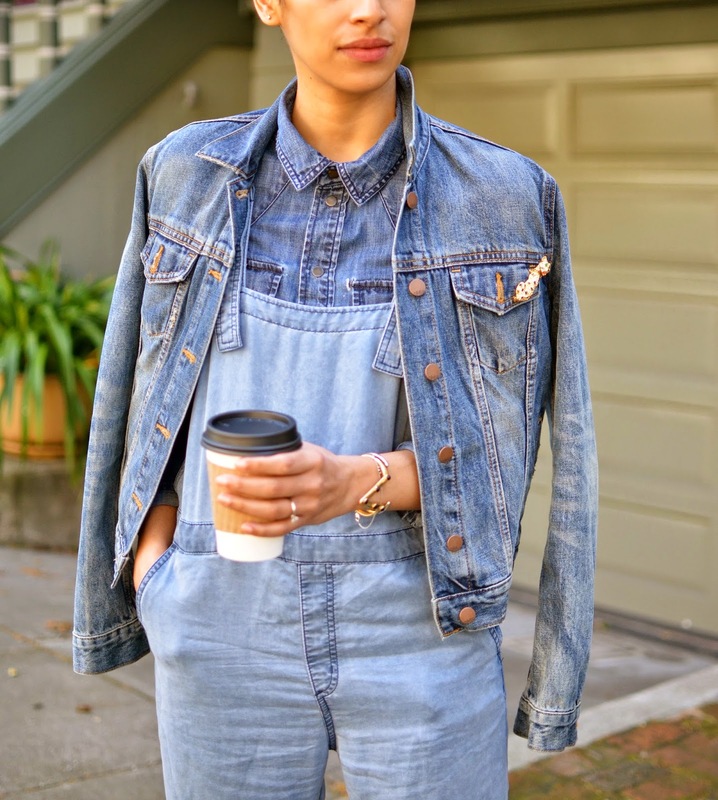 It's not just a Canadian tux, it's so much more with the overalls. I just may start to don head-to-toe denim situations more often. Great job. I'm totally gonna try this one out !! 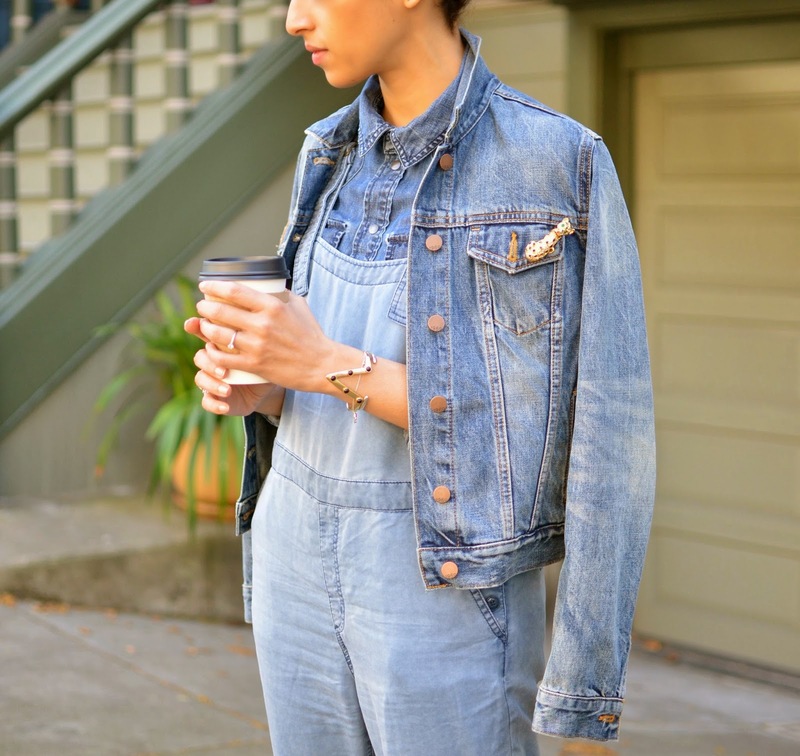 Love it, good job pulling off all denim! !